What better way to become inspired to find your own startup than by hearing the story of another. on Thursday, March 29, from 1-2PM EDT. Tarek Pertew graduated from University of Virginia with a degree in International Business, Marketing, and Management. Since then he’s founded/co-founded 6 different startups. Today, he focuses on two, one being Uncubed, and the other being NYC Footy, a soccer organization based in Brooklyn, NY. 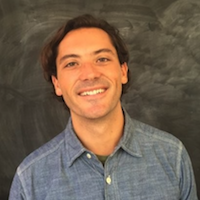 Tune in to hear the story of Uncubed from their CCO, Tarek Pertew. He’ll walk you through the different stages of Uncubed and discuss how valuable we’ve grown. Join us for the history of Uncubed! Thursday, March 29 from 1-2PM EDT.